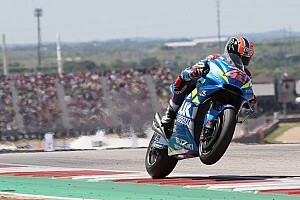 Espargaro was the first casualty at the Circuit of the Americas in the race on Sunday, falling as early as the second lap at Turn 14 to mark his first non-finish of the 2019 campaign. But the Spaniard is convinced that he was not at fault, saying he felt his Aprilia RS-GP's traction control had not been functioning in the warm-up session earlier in the day - and questioning how such an incident could be possible with today's rider aids. "I don’t think it was my fault today," said Espargaro after the race. "I’m a sincere person and when it’s my fault, [I say] it’s my fault. But today it wasn’t my fault. "From this morning the bike was not consistent like the other sessions. 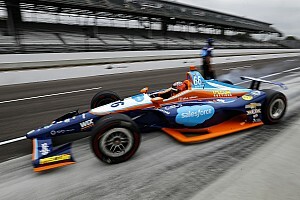 I didn’t feel the traction control work well in the warm-up, in the race it was exactly the same, and I made a high-side. "[To] crash today in this time with the electronics we have, opening the throttle, it cannot be possible. So it’s a big mistake. We have to understand why the electronics didn’t work all day. "Unfortunately [there were] many crashes [for other riders] so it was a big opportunity to take a lot of points, but it is how it is." He continued: "The consistency of the bike is not good. Every day, every session it feels a little bit different and it’s difficult to repeat, to be smooth riding. 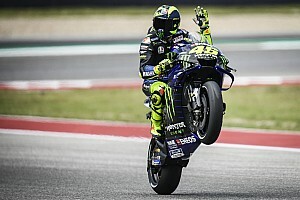 "The main goal is to improve the traction because we had no grip, and this morning with low grip, and the traction control was not working and I had a lot of high-side [moments]. "And in the race it was exactly the same, no grip and I crash. Luckily I’m ok because in a crash like this you can hurt yourself a lot." 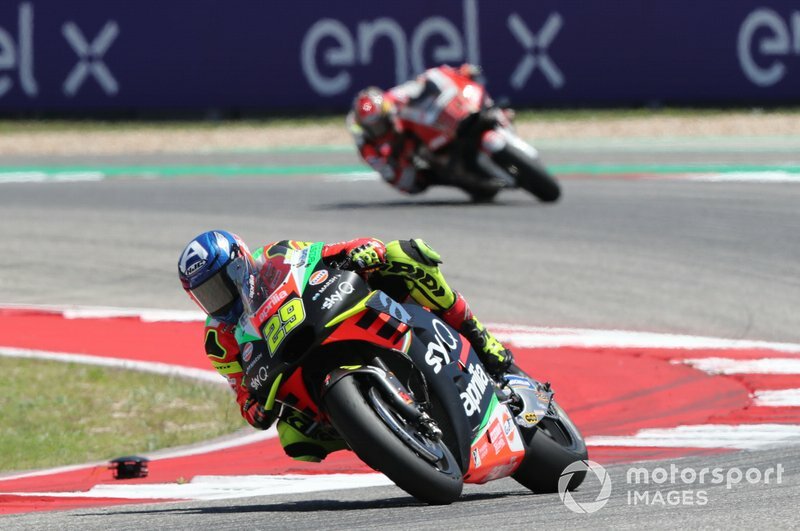 Espargaro's new teammate Andrea Iannone picked up his best position yet for Aprilia in 12th. 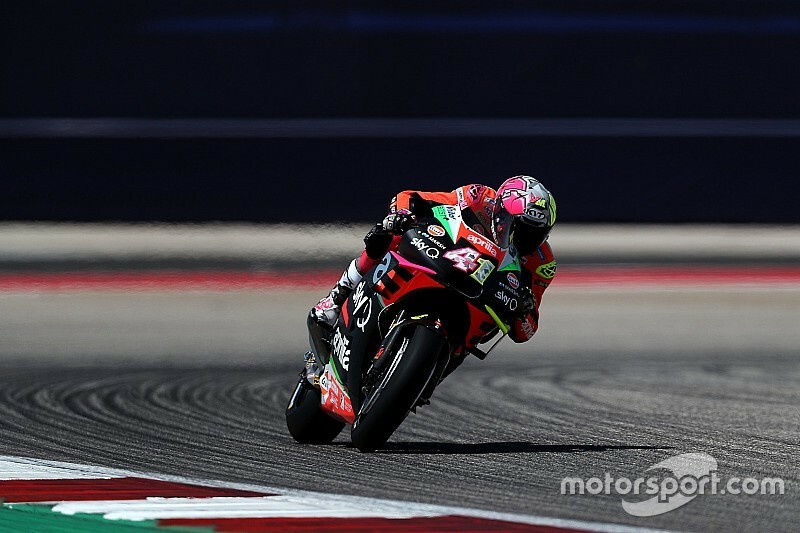 The Italian ran inside the top 10 for a portion of the race, but ended up slipping behind the LCR Honda of Takaaki Nakagami and the recovering Maverick Vinales - who dropped down the order early on after a jump-start penalty - late on. 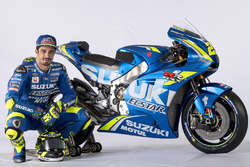 "We are really close to the top 10, for sure it's a positive thing," said Iannone. "Our target is to fight for the top 10 positions. It's not easy but in any case we try every Sunday. "We struggled a little bit at the end. At the beginning I ride well and I recovered position, but in the last seven laps I started to struggle, I lose the front and the bike becomes nervous. 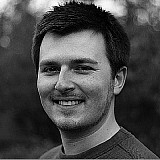 It's a little bit difficult to manage to continue with the same laptime."